The tricky thing about eating fruits and vegetables on keto is that many of them have more net carbs than you think. One medium apple, for example, has roughly 20 grams of net carbs while one serving of small french fries (one of the most widely consumed “vegetables”) has around 26 grams of net carbs. By consuming this many net carbs in one sitting, it would be nearly impossible to stay in ketosis. Fortunately (or unfortunately for some picky eaters), this doesn’t mean that you can’t eat vegetables and fruit while you are on keto. In fact, it is crucial for your health and well being that you eat produce with each meal. In general, while you are restricting carbs, you can have citrus fruits, star fruit, berries, leafy greens, allium vegetables, cruciferous vegetables, mushrooms, nightshade vegetables, and avocados. Just make sure you have them in moderation as the net carbs from these fruits and vegetables can add up quickly. To find out the other fruits you can eat on keto along with their net carb content, click here. 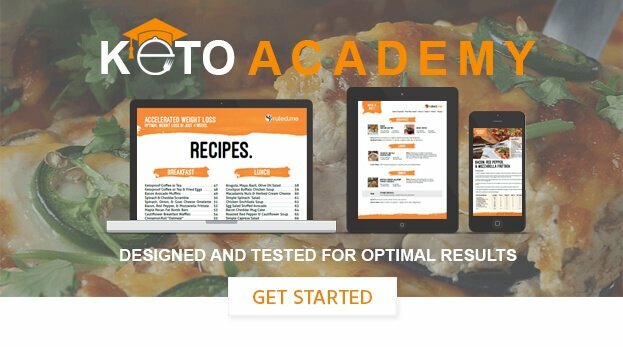 To find out about all of the other vegetables you can eat on keto along with their net carb content, click here.